Keynote speaker Richard de Hoop unites business knowledge, creativity and music. His audiences are delighted by his ability to balance between content and entertainment in his electrifying presentations. Being an authentic and enthusiastic speaker, Richard de Hoop is the perfect match for any kind of team building event. No one knows what the future will sound like… so let’s get futureproof! Richard de Hoop uses music as a metaphor and a source of inspiration for businesses and interactions within them. In all this inspirational keynotes on the future, resilience, passion at work and teambuilding Richard uses music as a central and binding element. All his keynotes contain amazing visuals, songs and music. Motivational expert Richard answers questions as “How to keep pace with the innovations of the future?” and “”How to recognise one’s individual talents?”. Using music as a metaphor Richard compares the range and diversity of peoples’ characters to musical instruments. A drum represents an active, motivated, hands-on pacesetter, whereas the horn is the unobtrusive yet observant team player. 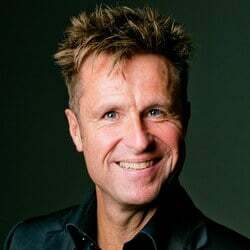 As keynote speaker Richard de Hoop has been involved in team-building, motivation and leadership events as an Entert®ainer since 1995. As a certified Belbin Team Role Trainer, he is a popularly in demand speaker for kick-off meetings and opening and closing sessions of large-scale events in the fields of business and sport. 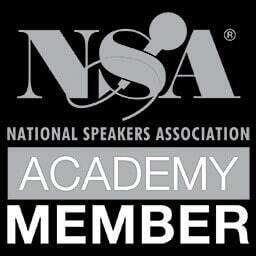 In June 2014, he achieved the highest earned international recognition for professional speakers, the Certified Speaking Professional ® (CSP) designation. In his keynote speeches Richard de Hoop motivates his audience by calling on them to focus on the strengths of each individual and to place that person where he or she can best use their talents. Just as each instrument in an orchestra has its own musical role to play. He calls this the ‘the Rock ‘n roll of strengths’. Richard de Hoop’s advice to all those who have a motivating leadership role is: ‘look for the sparkle in your employees’ eyes’. Are you like the calm bass that establishes the rhythm, or do you play the trumpet, full of initiative within your team? Richard de Hoop and his team have translated the Team Role Theory developed by Dr. M. Belbin to an orchestra. Just as an orchestra requires a number of musicians to play together in harmony, human teamwork requires different personalities in order to effectively tackle problems and challenges. Based on modules such as ‘temperaments’, ‘commitment’ and ‘the music in criticism’, they will give your organisation a metaphor you will enjoy for years to come. Richard compares the range and diversity of peoples’ characters to musical instruments. A drum represents an active, motivated, hands-on pacesetter, whereas the horn is the unobtrusive yet observant team player. To create the right symphony all instruments are important – as members in a team are. When people work under a motivating conductor (their superior) a full sound experience and top performances can be reached by the entire group. How will our future look like? With all the major changes in the world we have to admit that we simple do not have the answer on this question. The insecurity about what tomorrow brings is closely related to the stress and strain many of us experience today. In this keynote Richard adresses the topic from a from a social/psychological angle. He talks about the radical changes and losses in his personal life. Suddenly all these clichés about dealing with change start to give meaning. With this genuine story Richard enables his audience to adapt a different view on resilience and change. He alleviates his audience’s fear of change and demonstrates how everybody can continue to be useful to society. Can you be passionate in your job? Absolutely; it’s obligatory! Passionate employees are better achievers, are more resilient, optimistic and loyal to their employer. Engaged employees not only perform better, but also have a positive effect on their co-workers’ attitudes. During this presentation Richard de Hoop will share the participants’ search for activities, sources and topics that drive people to excel in their jobs.